The acceptance and popularity of this product line could only have occurred based on a collaborative effort. 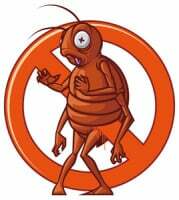 We gratefully acknowledge the suggestions and support from the pesticide manufacturer, the distributors, and most of all, the pest control operators. As use of sulfuryl fluoride expands worldwide, be assured that Interscan will continue its policy of product innovation and unbeatable customer service. Do you have gas detection needs beyond sulfuryl fluoride? Ethylene oxide, formaldehyde, hydrogen peroxide and many others? Visit Interscan’s main website.